Deaconess is on its third owner in a decade. Two other health systems tried to run Deaconess and Valley hospitals — and struggled to balance the books — before it was MultiCare Health System's turn to take a crack at it. Nearly a decade ago, Community Health Systems, a big health care conglomerate from Tennessee, came to Spokane with its eye on Empire Health — a nonprofit on the edge of bankruptcy that had just seen a $7 million loss and laid off 130 employees. The community was wary of a conversion of a nonprofit to a for-profit hospital, but after a deal that included the creation of the private Empire Health Foundation, it went through. For a while, CHS seemed to be flourishing. It expanded even further in 2010, gobbling up Rockwood Clinic and its 32 locations, and then gathering up the entire collection under the name Rockwood Health System. But then, CHS, too ran into trouble: Nationally, the company had become too big, too unwieldy, and the purchase of yet another hospital system had left the CHS staggering under a hefty load of debt. The CHS empire was widespread, but much of that territory, according to an analysis in Modern Healthcare, was like its business in Spokane: still second place behind a market leader. The only choice was to retreat, selling off pieces of its business. And that's how Deaconess and Valley hospitals ended up, once again, as part of a nonprofit. This time, it was MultiCare. "We are always looking for an opportunity to expand our geographic footprint," says MultiCare spokeswoman Marce Edwards. Bob Crittenden, Gov. Jay Inslee's special advisor for health reform, says that it makes sense for MultiCare, as a nonprofit based in Tacoma, to want to expand to the eastern side of the state. A large company, or even the Washington state government, may prefer to negotiate with a health system that has a wider presence throughout the state. "MultiCare can start working with other groups statewide," Crittenden says. "We purchase a lot of health care for our employees. It's better for the sellers and the state for a large system to go statewide, to provide care for more people." For now, the impact of the MultiCare purchase remains unclear. In response to a series of questions from the Inlander, Rockwood Health System marketing director George Hampton sent only this statement in response: "We look forward to deepening the impact we can have as part of a larger regional network. Patient care is continuing across Rockwood Health System without interruption as the transition work is done behind-the-scenes. More information about future plans will be available once the transaction is complete." Similarly, MultiCare's Edwards says there haven't been any major changes yet. "We're still in the exploratory phase," she says. "They're learning who we are, and we're learning who they are." One major upcoming change? 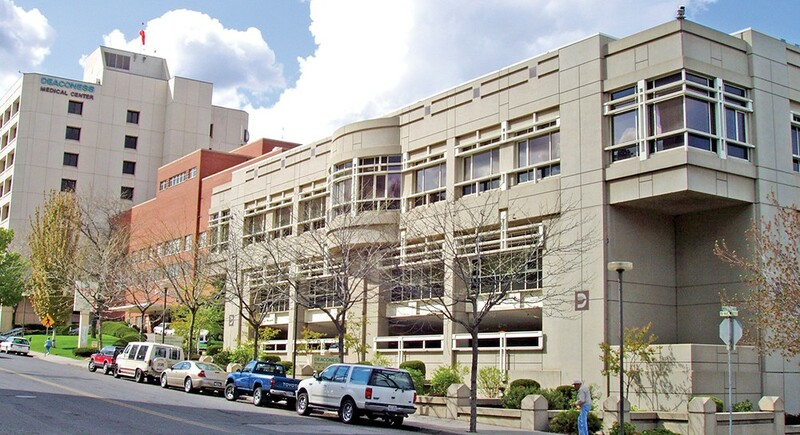 MultiCare will bring a new electronic medical record system to the Spokane region. Edwards also describes a significant emphasis on urgent care centers, 24/7 minor emergency rooms where patients can go at any time. "We have 30 urgent cares in the Puget Sound region," Edwards says. "We believe that they're a really important part of the health care system." In one sense, MultiCare has already been a part of the region. "It's our first physical presence," Edwards says. "We had a few virtual health presences." 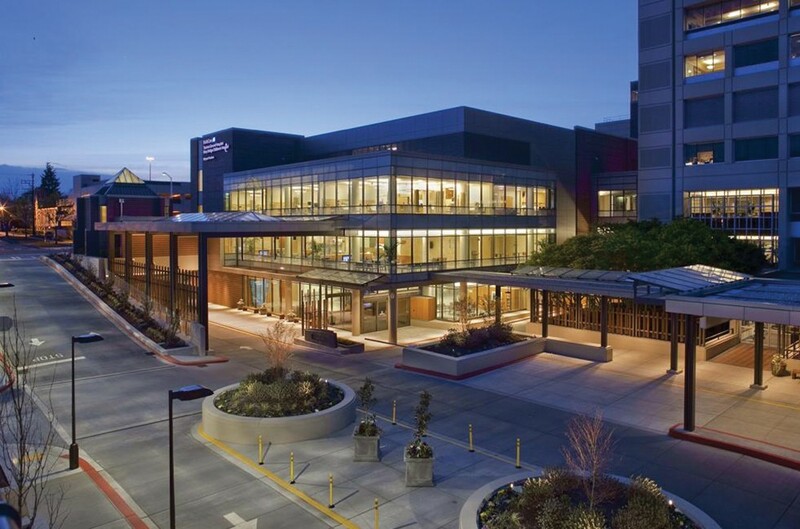 Tacoma General is operated by MultiCare, which traces its roots back to 1882. "Access a doctor immediately, and get medical information and diagnose and treatment information," Edwards says. The second is eCare, a web-based program from a company called Zipnosis that leads patients through a series of questions about their symptoms. At the end of the virtual exam, if the treatment requires a prescription, patients can send the prescription directly to the pharmacy of their choice. Beyond the patients, the question is what sort of impact MultiCare will have on staff. Three years ago, Deaconess and Valley hospitals were locked in the middle of a dispute with the Service Employees International Union, complaining that staffing cuts had resulted in far too few nurses for far too many patients. Here, MultiCare can relate. It spent a year in the midst of intense negotiations, and strike threats, with the Washington State Nurses Association over staffing levels at MultiCare Tacoma General Hospital. But the ultimate deal they struck left the nurses pleased — for the first time in state history, patient ratios were defined in the nurse's contract. Also pleased? Antony Chiang, president of the Empire Health Foundation, the nonprofit formed out of the sale of Empire Health nearly a decade ago. He can't talk about details yet, but he says the foundation has already been meeting with MultiCare, discussing potential partnerships centered on topics like graduate medical education. "Our engagement from them so far... has been nothing short of phenomenal or amazing," Chiang says. And in his experience, the fact that they're a nonprofit makes a difference.